Rewardme is one website through which you get free samples. You can try wide range of P&G products before you buy those products. Now Rewardme through its exclusive sampling campaign allows you to try P&G products before your buy them. 2. Share your address details where you will request to receive samples. 3. Login and select samples you are looking for. You will get 3 samples. 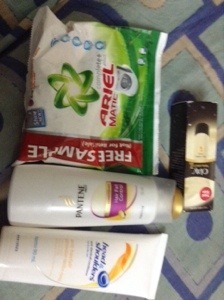 There were samples of Ariel, Olay, Head&Shoulders, Pantene etc. I have selected Ariel, Olay, Pantene. 4. Select 3 samples and go to basket. Place order and you will receive your samples.